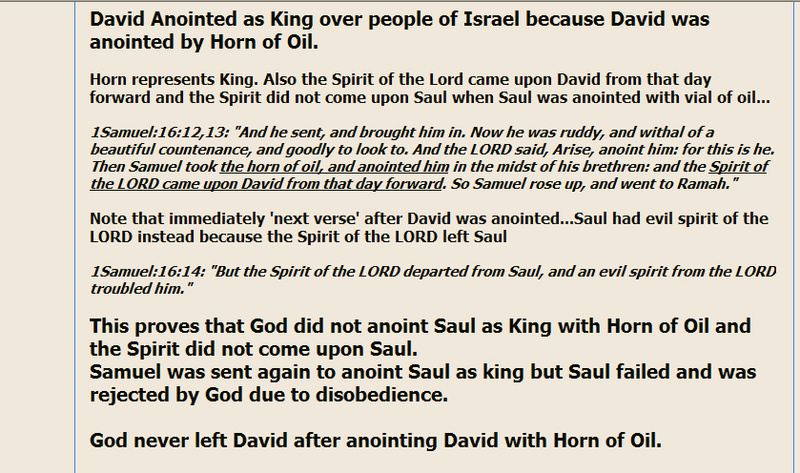 For Fair Use Discussion and Educational Purposes: Difference between Saul & David. Saul a son of Kish, David 7th son of Jesse' 8sons. 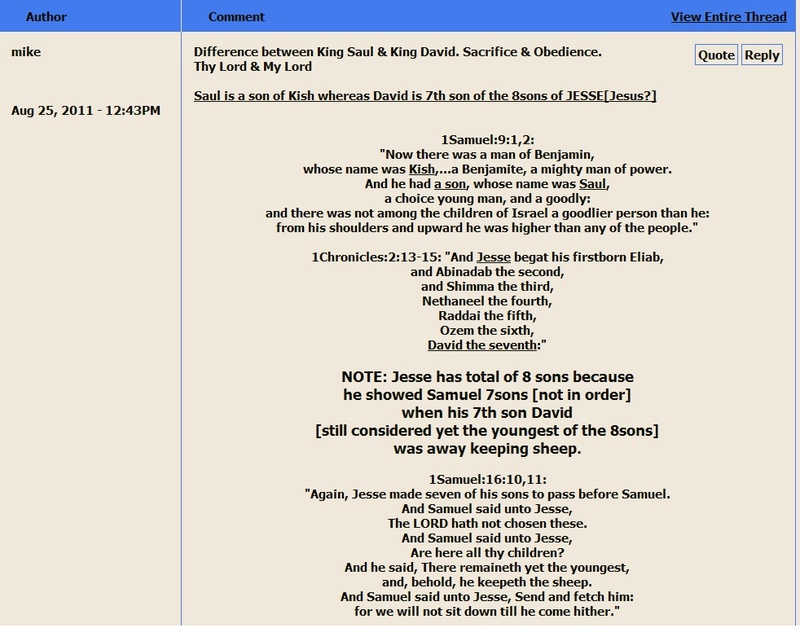 For Fair Use Discussion and Educational Purposes: Difference between Saul & David. 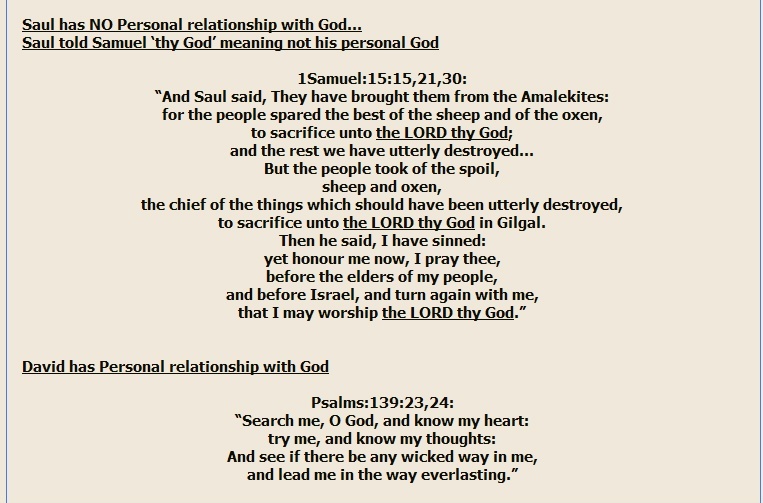 Saul has NO Personal relationship with God. David has. For Fair Use Discussion and Educational Purposes: Difference between Saul & David. Saul is Man's Servant. David is God's Servant. 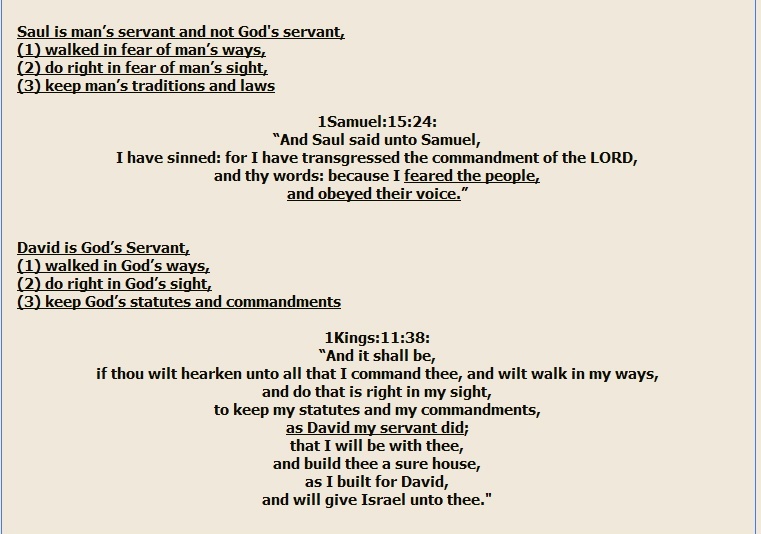 For Fair Use Discussion and Educational Purposes: Difference between Saul & David. God delights in Obedience and Mercy more than Sacrifice. and not yet as King. 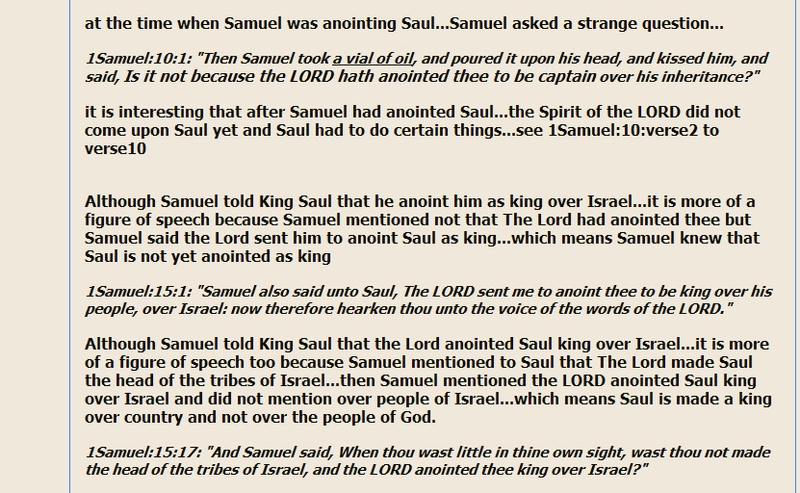 and so God rejected Saul as King of Israel. 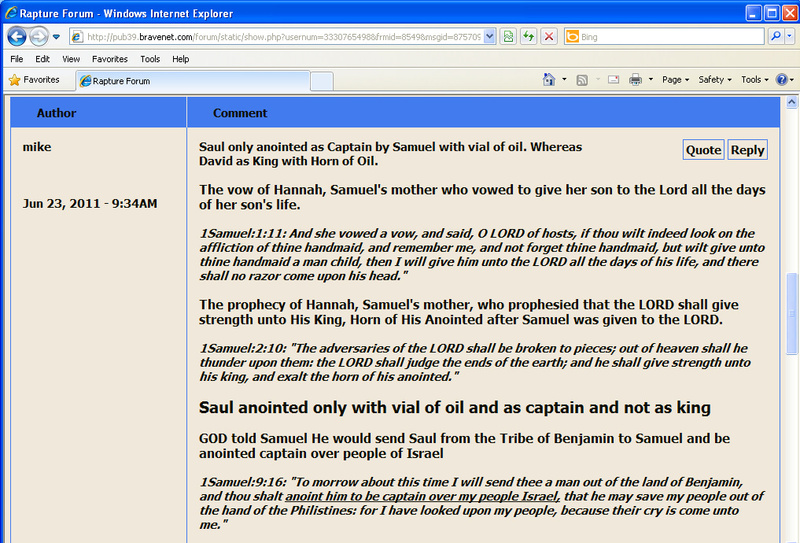 whereas anointing of Saul is with vial of oil only. as Captain over people of Israel. David as King over people of Israel.